Explanation: In December of 1968, the Apollo 8 crew flew from the Earth to the Moon and back again. Frank Borman, James Lovell, and William Anders were launched atop a Saturn V rocket on December 21, circled the Moon ten times in their command module, and returned to Earth on December 27. The Apollo 8 mission's impressive list of firsts includes: the first humans to journey to the Earth's Moon, the first manned flight using the Saturn V, and the first to photograph the Earth from deep space. 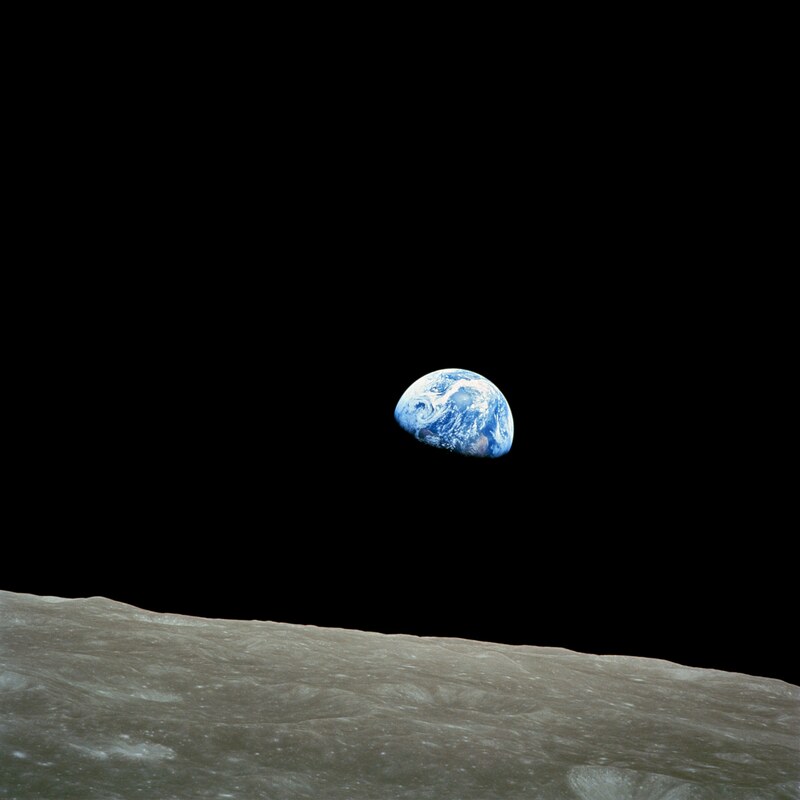 As the Apollo 8 command module rounded the farside of the Moon, the crew could look toward the lunar horizon and see the Earth appear to rise, due to their spacecraft's orbital motion. 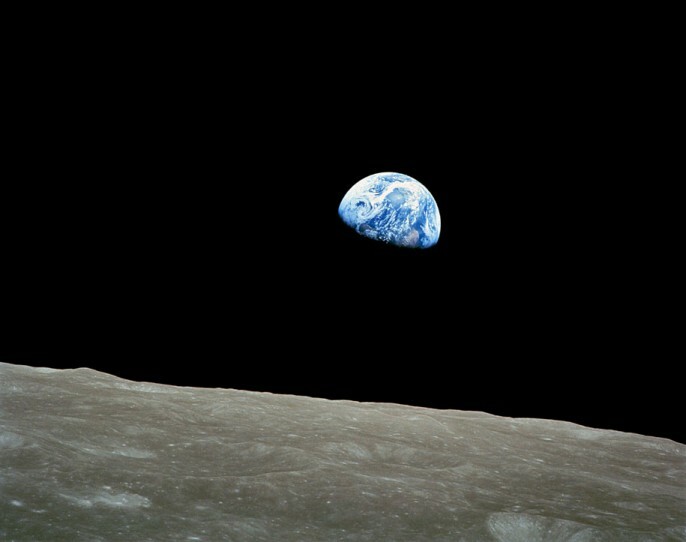 The famous picture that resulted, of a distant blue Earth above the Moon's limb, was a marvelous gift to the world.